This material is provided for private study, scholarship, or research. Property rights and copyright reside with the Regents of the University of California. For permission to reproduce or publish this item, or to correct this copyright information, please contact the University Archivist at the UC Irvine Libraries (spcoll@uci.edu). 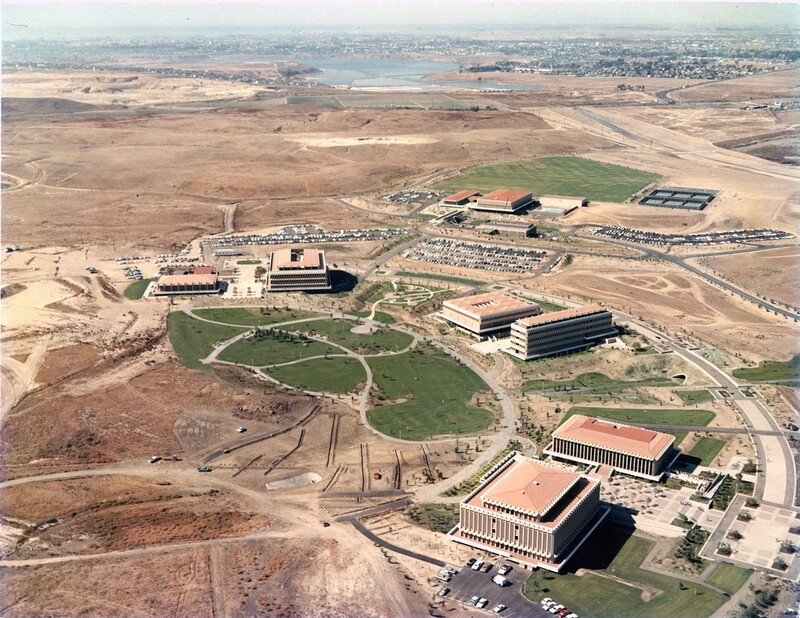 Scope/Content: Color aerial of the campus, October 1966, courtesy of Donald Flamm, Philco-Ford, Aeronutronic. Original: 11x14" color photographic print.